For years, the accepted “retirement age” has been 65. However, many people are starting to look at their situations, and they realize that this might not be practical. A recent poll from CBS points out that only 52 percent of Americans not yet retired expect to make the 65-year-old deadline. Additionally, more people than ever expect to retire in their 70s. It might not seem like 22 percent of not-retired Americans is a lot, but when you consider that only eight percent of not-retired Americans said they would work until their 70s as recently as 2005, that changes things. So, what’s changing? 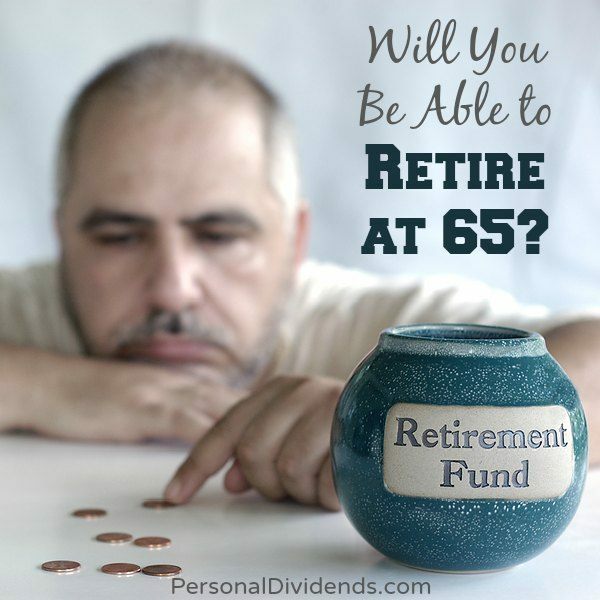 And will you be able to retire when you want to? The realization that putting $100 a month into a retirement account isn’t actually enough to retire on. Compound interest is great, and can be a great help, but unless you started putting this money into an account while you were a teenager, $100 just isn’t going to cut it if you are taking a relatively conservative approach with index funds. You are closer to retirement than you thought, and you haven’t really been saving up. Too many of us say that we will have more time later, and put off investing. One day you look at your situation and realize that “someday” has arrived and all of your procrastination means that you have 10 or 15 years to do the work of 25 or 30 years. When you get right down to it, a lot of it has to do with planning. Not enough people actually evaluate their possible retirement needs ahead of time, and the result is that they don’t do enough to prepare. Yes, a stock market crash just before retirement, or early in retirement, can cause some problems. But it’s an even bigger problem if you didn’t plan ahead and prepare to begin with. Here’s where the economic situation comes in. According to the CBS poll, 70 percent of Americans who haven’t retired yet find it difficult to save for retirement while keeping up with their bills and other expenses. This is where things might get difficult. Even if you plan ahead, it can be difficult to set money aside if you are unemployed or underemployed, or if you have a hard time meeting your obligations. When the economy is tough, and your budget is strained, it’s difficult to keep up with retirement investing. According to the poll, though, not saving at all for retirement is more of an issue for those who are younger. But the reality remains that it’s difficult to save for retirement if you don’t have money coming in. If you want to meet your retirement goal and be able to retire at 65, you need to make plans right now. Even if your company doesn’t offer a retirement plan, you can still save if you have some sort of earned income. Anyone with earned income can open an IRA. Next, set money aside in your account, no matter how small the amount is. Even if you can only start with $100 a month, start with that. Look for ways to earn extra money so that you can invest in your retirement account. Of course, that $100 isn’t going to be enough to build a solid nest egg if you never increase what you set aside. Start early, and then, as you see increases in income over time, add more money to your retirement account. Each time you earn more, add more to your account. Finally, prioritize your retirement savings. Some of the retirement crisis is due to the fact that many people don’t make retirement investing a priority. They want to eat out twice a week, or go on a big vacation every year. Evaluate your priorities and decide if you can change a little bit to free up more for retirement. Either make more money, or cut back to eating out twice a month and going on a big vacation every three years. Once you realize where you stand, and take the steps to effectively save for retirement, you will stand a better chance of retiring when you want to. Retirement is really scary nowadays. I am looking at my parents who are turning 65 and they just cannot afford to retire. Which makes me think what are the odds of me retiring at a later date. Although I have a fixed pension salary scheme through work, I really think the chances of working at large companies through to 65 is now no longer viable due to the redundancies they are making. So fingers crossed I hope everything will work out for me. In a couple of minutes you can get a ball park figure at whatever age you choose.